I asked Maurice to look at a car for me, as I am in Canada and was not able to travel at this time. 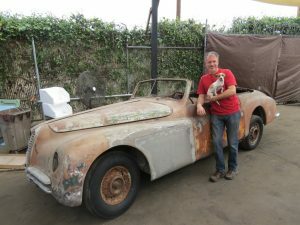 I do my own restorations and wanted a good car to work with. 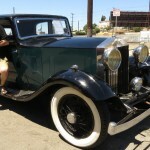 I needed to know if the car was a good car to start with for my restoration. Maurice quickly went to the location and sent me numerous photographs providing many pieces of detailed information, some of which I’m sure I would NOT have picked up if I saw the car in person. He saved me time, money and probably years of headaches. He will be my go-to guy for all my future pre-purchase inspections! I thank Maurice for his work. 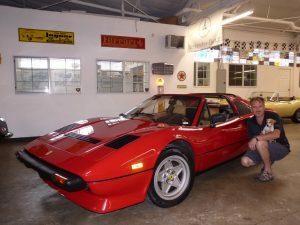 I had to buy a Ferrari 308 GTS Quattrovalvole in Los Angeles. He made the PPI for me and I was very satisfied with his work. The response is quick and the PPI was realized in less than 48 hours. He perfectly knows the vintage cars and he knows exactly what to check. I received over 600 pictures just after the PPI and a full report (over 12 pages) the next day. The remarks are very good. He is very professional. His analysis helped me: to be notified of all the problems that the pictures do not show, not to buy a ticket to Los Angeles, and not to buy a car that was in too poor condition for the price. His report really kicks. It is a pleasure to read. I highly recommend his services. 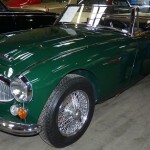 You will avoid wasting money and you will have the guidance of a vintage car enthusiast. You will definitely find cheaper elsewhere, but not the same quality. And as vintage cars are quite expensive, don't hesitate to spend a good PPI. Just a quick note to say what a professional ,accurate and helpful service Maurice has provided. I have received the car here in the UK. I’m extremely happy with it. Thanks to the thorough inspection carried out by Maurice I was familiar with the car as soon as it arrived. He didn’t miss a thing. A much more detailed inspection than if I’d viewed the car myself. 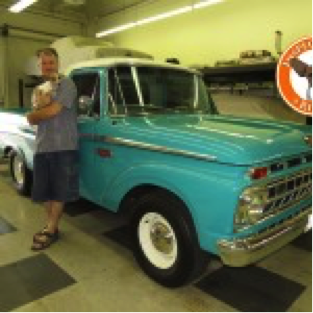 Thanks Maurice and thanks to Ricky for his technical input..
December 2014 Hi, My name is Ed and I am from Belgium, I am a classic car fanatic and I buy 3 to 5 cars from the US yearly and have been doing so for the last 15 years. 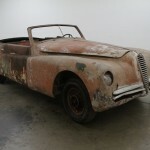 I have had good experiences and also very very bad ones were a car was sold to me based on photo's dating back 10 years. Since that experience I have decided to never ever buy a car that I could not see myself and if not possible to have an inspection done on the car. Now you have inspections and inspections. There a lot of companies out there doing so called Inspections. 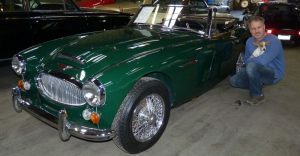 Recently I decided to buy an Austin Healey MKIII of 1967 which appeared in reasonable condition, but how can you judge when you are in Florida and the car is in California. also the car would be shipped from La directly to Europe and I would only see it for the first time when I collect it from the port. We all know these cars can be big problem cars, they were made in England. After a lot of research, I decided to use a company called Memory Lane run by Maurice Mentens. He is not the cheapest out there but I can assure you he is the very best and worth every penny they charge. The amount of photos you receive is quite unbelievable; every inch of the car is put on photo and you can study it at ease and ask all the questions you want. 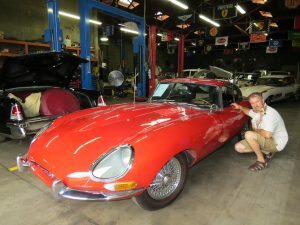 Maurice having restored many cars himself knows where to look and what to show you to enable you to make a perfect opinion on the car. He works on a schedule established in advance and keeps his promises on the dates agreed also I think the guy never sleeps because he answers all your E-mails within hours. The written report is crystal clear and the defects are very clearly mentioned. If I was to rate his services it would be a 10 out of 10 and I will most definitely use him again without any hesitation, he is the best I have ever used, believe me. I know. Dear Maurice, I want to say an enormous thank you for your extraordinary support. As we told each other in our first contact, the car we were interested in was quite difficult to be inspected. It's an old rare car and it would have been difficult for us to come there. We have had an incredibly detailed report with really high-quality pictures and clever report. Thanks to you, you are an incredibly precious support. Thank you very much for your e-mail with report and photo album. Thank goodness I employed you as I am greatly disappointed with the condition of the vehicle. Your excellent photographs taken in good light show the very poor condition of the car and the structural integrity of the body. I hope now that you did not drive it as I suspect it could be a safety risk to you! I will not go ahead with the purchase even if it is offered to me at a much lower price. 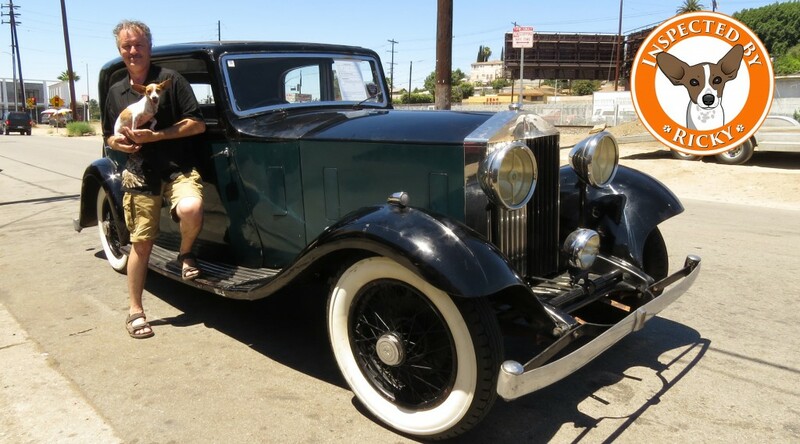 Your knowledge of even these older Rolls Royces is crazy and your guidance in their (expensive) restorations has helped me make my decision. I will be passing your name on to others over here in the UK for car inspections that might be necessary in the future on other cars. You came out as the inspector with the highest fee in Los Angeles but it was totally worth it and I have learned you always have to pay for quality in life. I actually consider that the work you did at the car, the photographs, and the report was very good value for money and I am very pleased I engaged you. I will write to XXXX - it was he who recommended you! 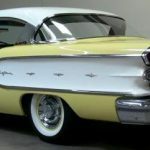 Dear Maurice, I still owe you my testimonial for your help rendered on the 1958 Pontiac Chieftain. The reason I send it now is that I just recommended your services to a friend of mine, which I guess says it all. Your professional assistance and expertise has helped me a great deal in making the final decision to purchase the Pontiac. Upon its arrival in Rotterdam the car turned out to be exactly as you described in your very extensive report, to the greatest detail. It has been on the road here for a year now to my full satisfaction. That's why I had no doubt when asked to recommend a good, reliable and professional appraiser. 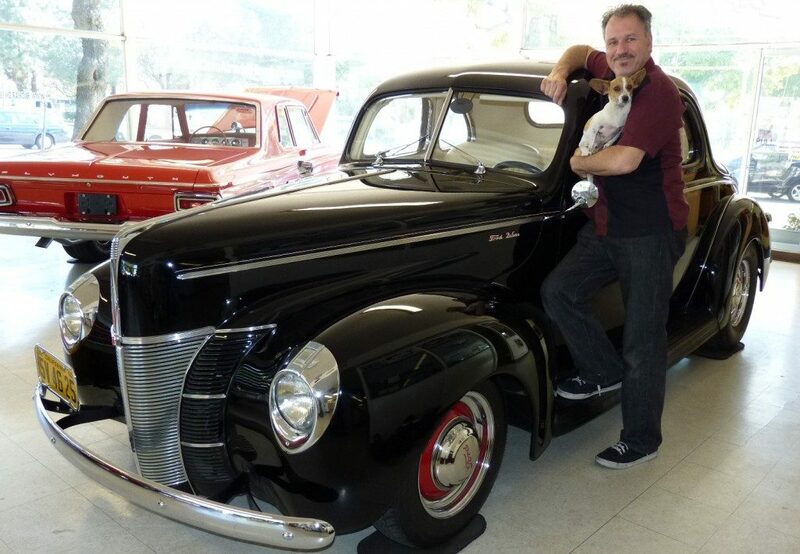 By the way, I'm looking for a pristine 1953 Chevy 3100. If you know one let me know. you about an Alfa and we both got messed about by the owner, however, I suspect without your tenacity and help which I know went above and beyond your normal service, the situation may have resulted in me losing money to a scam. So for that alone, commissioning your service has paid for itself. I like your humor, style, and your manner and you always have time for people before and after they have been your client. As soon as I find another car in Southern California I will call you - still looking for that Ghibli! Best regards - please do not publish my last name. I have been looking through the Classic Car listing sites for a high quality, restored 1965 Ford F 100. I found one on the internet listed in California but the auction was due to close before I could get out there to look at the vehicle. Maurice was able to get there the next day. The inspection he performed was far better than what I would have been able to do myself. And I would certainly have missed at least two significant issues that would have been costly to fix after I bought the vehicle. There is no doubt in my mind that the services provided by Maurice was money very well spent. 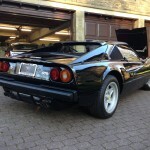 I would highly recommend Maurice to anyone looking to purchase a high value classic car. Well worth it! 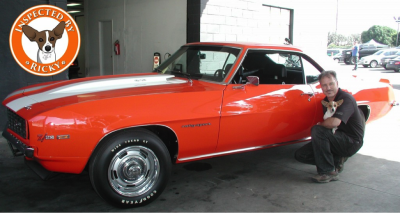 From since i was a little boy i liked American cars. ( i live in the Netherlands ) Always wanted one but never did buy one. Up until now, i am settled, house, wife and a lovely dauchter. 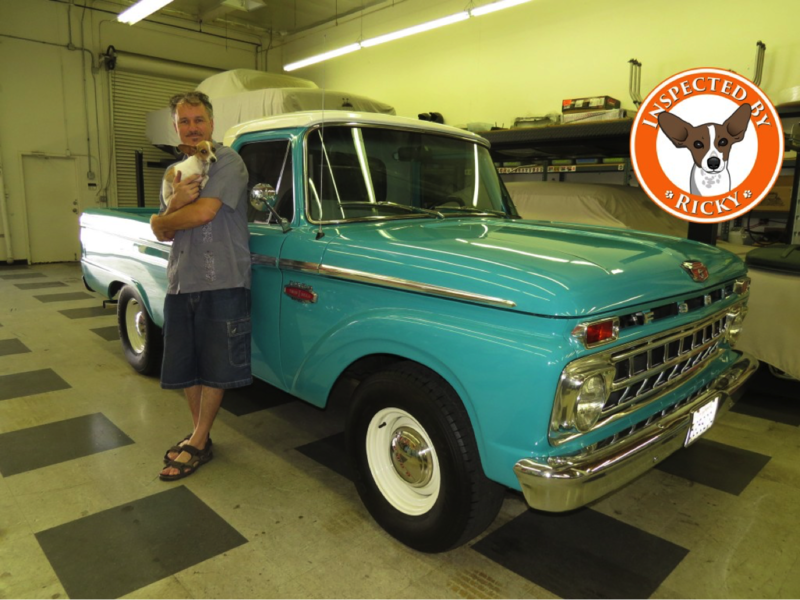 Now it is time for dad?s classic car. ! 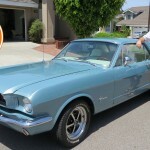 I really love the Ford mustang year 1965/1966. The curves and classic looks of the car, the suberb interior, and all that with a nice V8 engine. Because i live in the Netherlands i started my search here. After viewing and driving nine Mustangs i still did not find the one. Then i went looking in Germany en Belgium. No luck eihter. Or to expensive for my budget, or just expensive and in real live very disappointing. 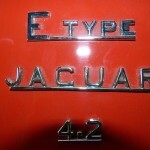 I am very picky with cars, so i now that finding a 48 year old car with my standards could be difficult. So i expanded my search to the USA. I soon found a car i really liked. 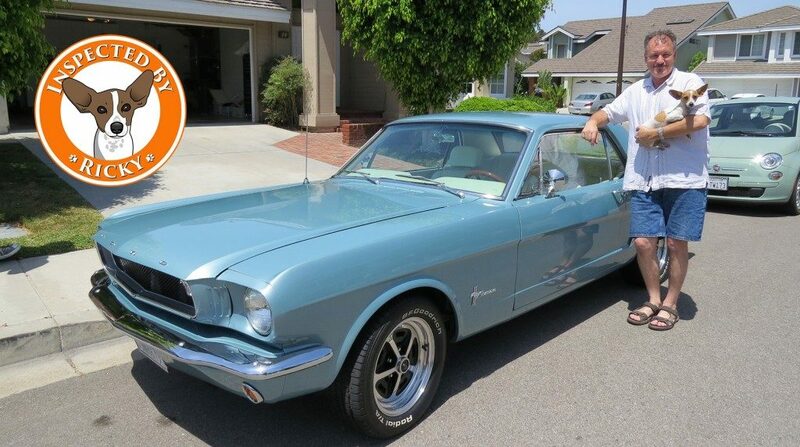 A nice Restomod mustang 1966. I started mailing with the seller, and everything sounded good. So good that i was ready to buy that car. But now what, i had no experience with buying a car overseas. And i am i not really into buying a car unseen. ( although it all sounds very good ) Flying to the USA ( CA in this case ) was also not an ideal option. A few days later during a family meeting i talked about my search with my, father in law. And told him that i found a car i liked in the USA. But that i was not sure how to proceed from here. He told my that a couple of streets further next to the house of the sister of his wife, lives the family Mentens. 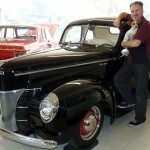 And they have a son Maurice, and that he is al into Classic cars, even better he is a car inspector from profession !! and that he now lives in LA. That sounded like music to my ears, thats just what i needed. ( and because Maurice is Dutch it makes it much easyer for me to explain to him what i am looking for ). I contacted Maurice and he responed fast. He even contacted the seller for me, and made an apointment to inspect the car asap. This inspection was the best investment i made so far. Because Maurice took over 450 detailed HQ pictures of the car. And wrote a very very detailed report. It was like i was viewing the car with my own eyes, but then from my couch here in the Netherlands. He checked every detail of the car, and wrote down the facts. With such great detail i could not ask for more !! Every part of the car from in and exterior, from chassis till engine and body work, you name it Maurice checked it. And as it turns out the seller was not honest about everything, witch in the end made me decide to not buy this Mustang. Thinking that without Maurice i mabye just bought the car or made a bad choice. I am so glad i did this, that maurice is going to inspect another car his Wednesday for me ! I trust Maurice for 100% he is honest, knows what he is talking about en gives you the facts and does a superb job like i have never seen before. Thanx Maurice for all the work so far ! Mabye i have better luck next Wednesday. Hi Folks! 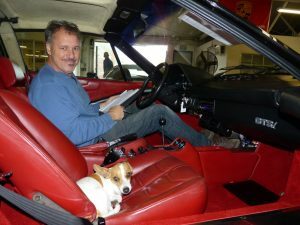 I was fortunate enough to click on Maurice's service during a search for clas sic car inspecti3ons. 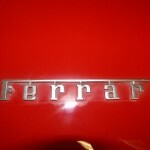 And what luck was it for me to find a totally ethical, knowledgeable AND professional car guy! My purchase involved a numbers and documented 69 Z28. I took the time to check the car out for myself and it passed the eyeball test with all the good stuff present but with a purchase like this I needed a Pro to verify the car - long story short with Maurice's 300+ pictures, 14 page report and test drive, it was neither a numbers car or really documented! 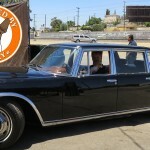 It was in fact a very nice and solid driver car BUT with an dubious origin small block of unknown specs. Needless to say I offered what we determined was a fair price for this now "might be" a Z28 at one time car and eventually passed on the deal all together - thanks Maurice for your great work and trusting advice! Author: Enter the name of the author for the testimonial here. Enter your testimonial content here. Category: No CategoryAlfa Romeo (1)Austin Healey (1)BMW (1)Camaro (1)Chevy (1)Ferrari (2)Ford (2)Jaguar (1)Mercedes (1)Mustang (1)Rolls Royce (1) Select an optional category for the testimonial here.